They met each other by coincidence at a rehearsal in Germany of the American Festival Ballet before a tour to Spain: Alexander Roy, who had performed his first ballet steps in bombed-out Magdeburg, Germany, and Sydney-born Australian Christina Gallea. What started as a collaborative dance career at the end of the 1950s grew into a lifelong artistic and personal partnership. They ran their own company and were successful worldwide. Lady Fortune was surely by their side. 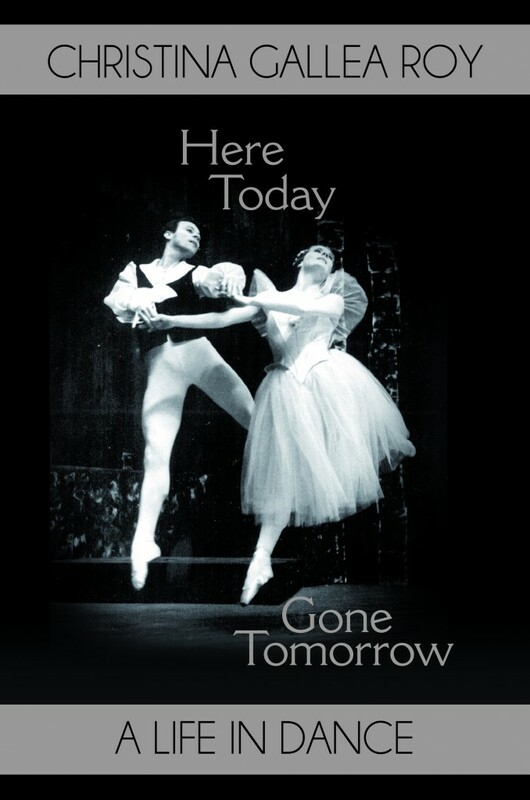 Christina Gallea Roy’s memories of the hurly-burly decades on the international dance scene are recalled in her book, “Here Today – Gone Tomorrow, A Life in Dance”, an engaging, worthwhile read. An instigator for it was the Victoria and Albert Museum, which is actively interested in documenting independent dance companies.